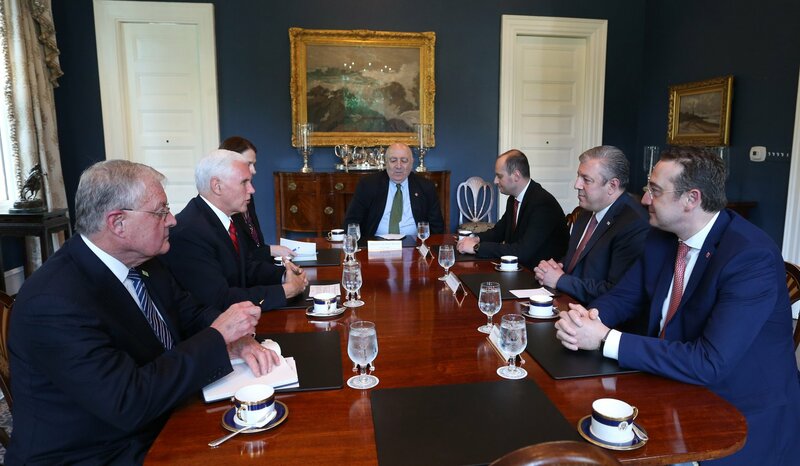 Giorgi Kvirikashvili, Prime Minister of Georgia was received by Mike Pence, Vice President of the USA at his residence. Leaders of strategic partner countries discussed all items on the agenda of relations between the two countries in fine detail. It was once again clearly affirmed at the meeting that USA stands by Georgia in addressing all the challenges and in embracing the opportunities and achievements. 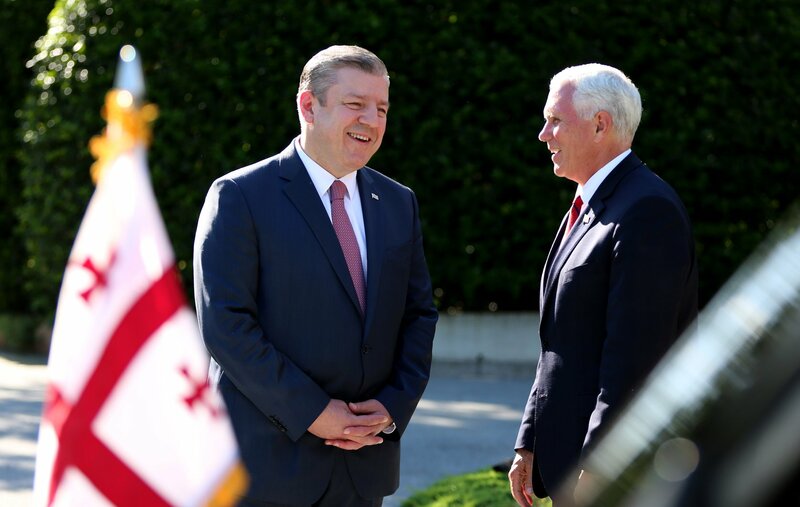 According to the US Vice President, he highly values the leadership of Giorgi Kvirikashvili in the process of western integration and reforms implemented in Georgia. Special role of Georgia in the US regional policy was stressed during the meeting. Vice President Pence confirmed the readiness of the USA to support to steps towards Georgia's integration to NATO, strengthen the defense and security potential of the country and deepen trade and economic relations. By the end of the meeting Giorgi Kvirikashvili made an entry to the Book of Honorary Guests deposited at the residence of the Vice President of the USA.